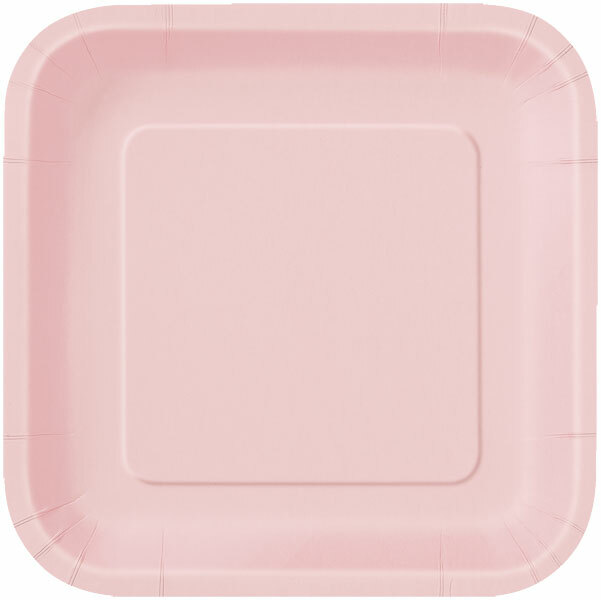 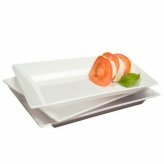 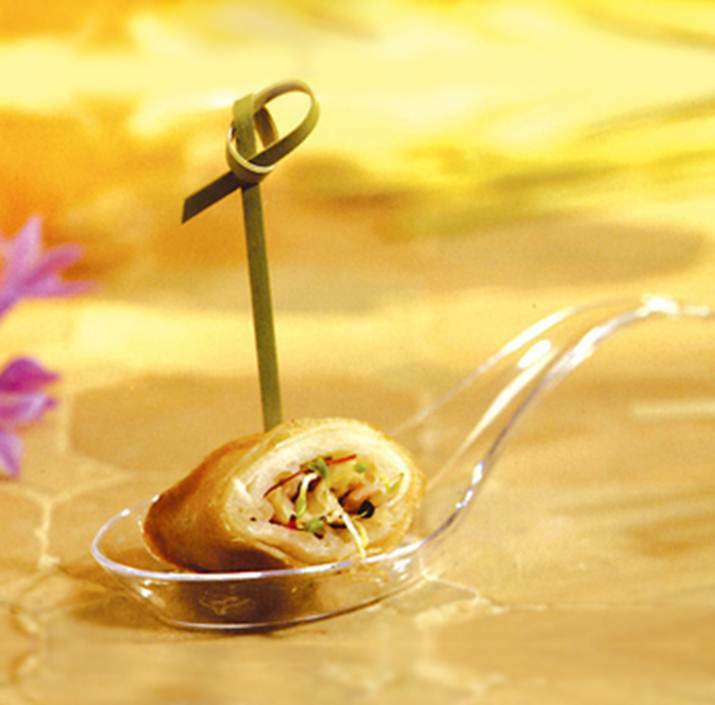 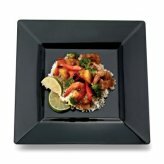 Below is a selection of disposable tableware including plates, serving dishes, tablecovers and other decorative items. 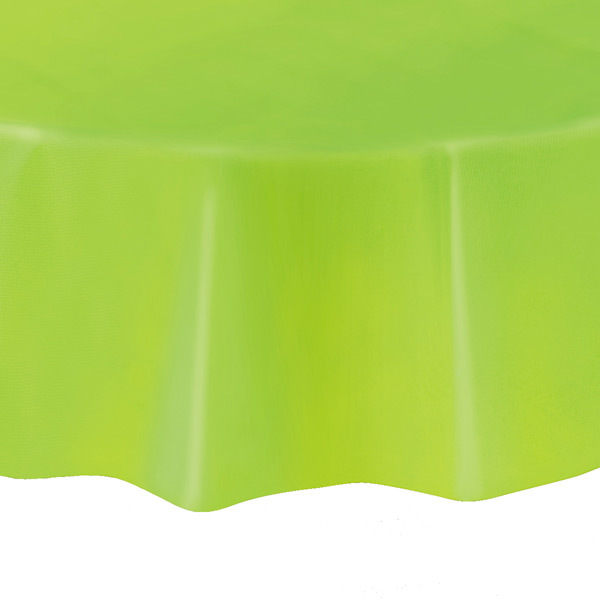 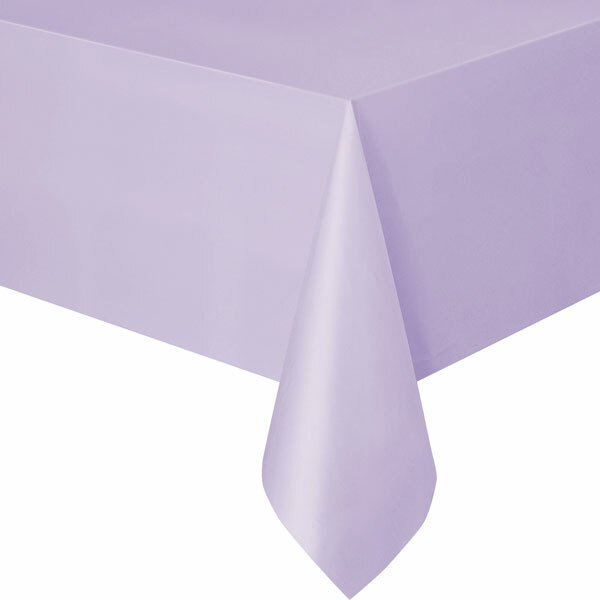 Click here for a great selection of solid color disposable tablecovers, both rectangular (below left) and circular (below center), or table skirts (below right) in plastic or paper. 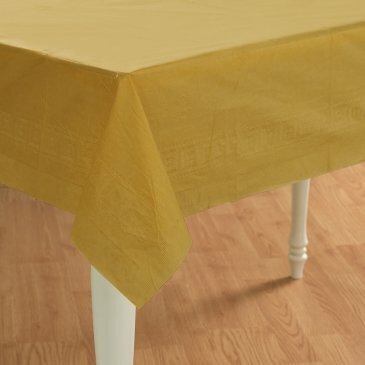 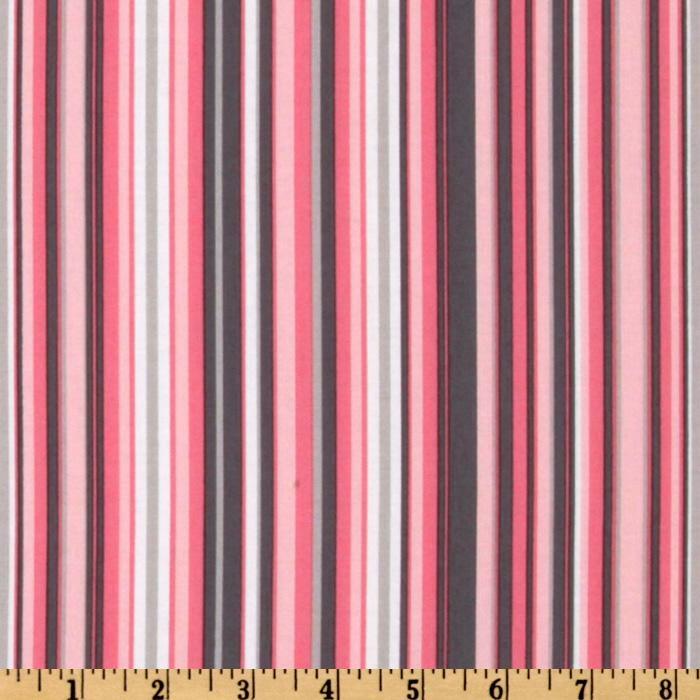 This supplier probably has the biggest range of colored tablecovers but doesn't have all shapes. 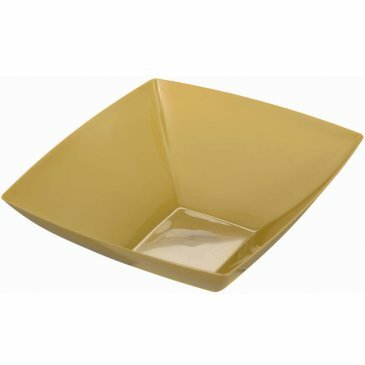 If you can't find the shape you need from the supplier above, then give this one a try, they have fewer colors but more shapes. Generally I would recommend using square and rectangular plastic plates and bowls as serving dishes on a buffet / dessert table. 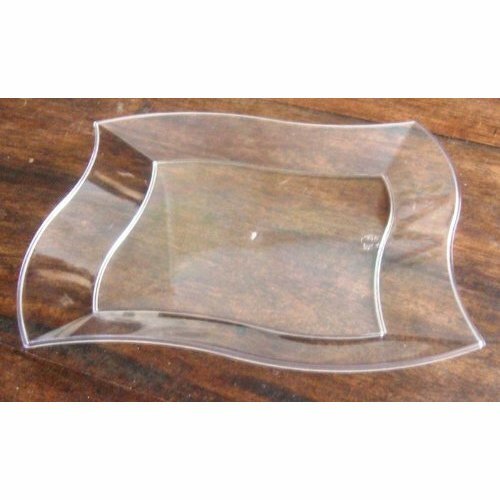 This range of Premium Plastic Plates and Bowls (below, top row) is great value and perfect to use as serving dishes and trays on your buffet or dessert table. 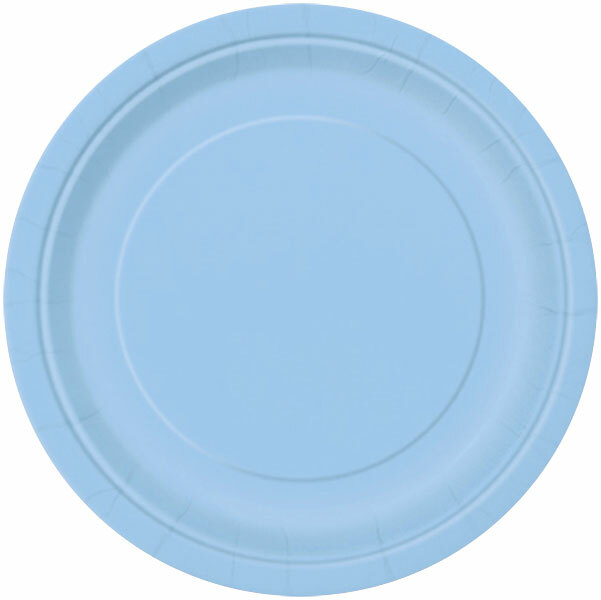 shaped Paper Plates (below, bottom row). 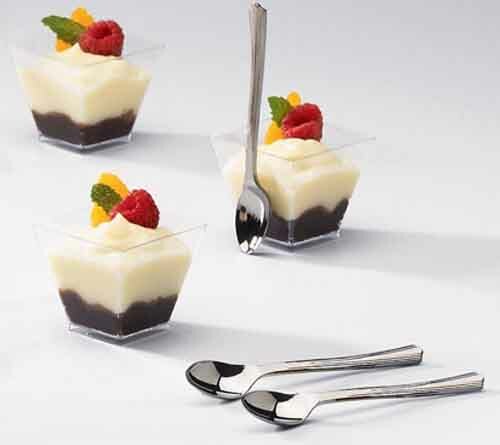 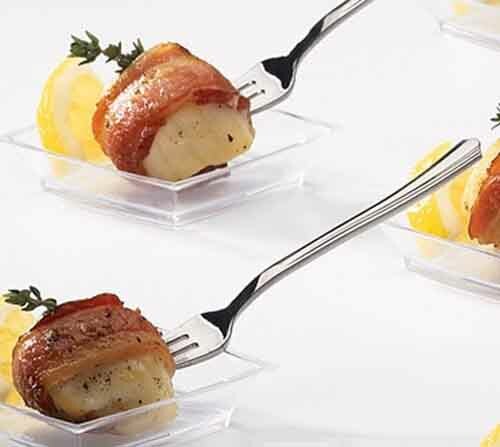 This other supplier also has a great selection of Premium Plastic Tableware, including clear mini plates (below left), clear mousse cups (below center), and clear Asian spoons (below right). 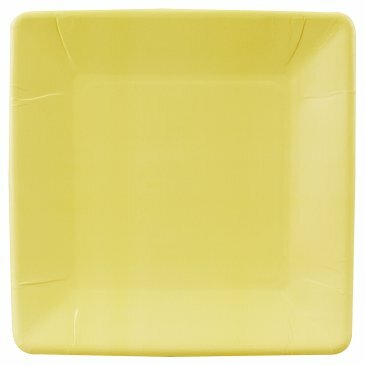 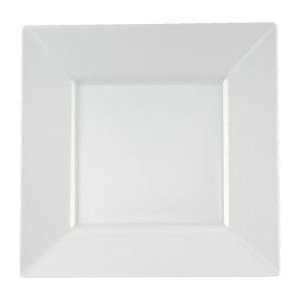 Some similar square and wavey plates (below, top row) are available in the UK, however this disposable tableware range is generally limited to black, white, or clear. 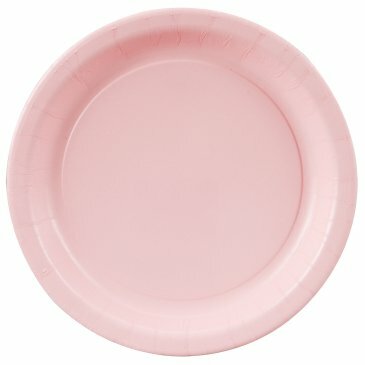 For a greater selection of colored plates use the square and circular shaped paper plates avalable here (below, bottom row). 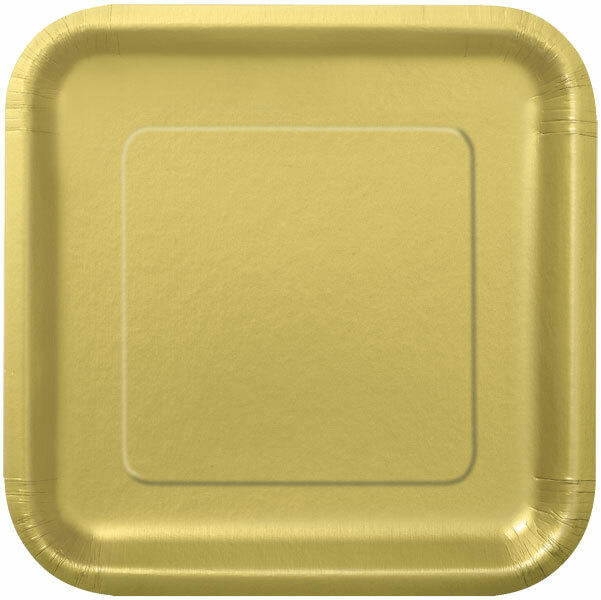 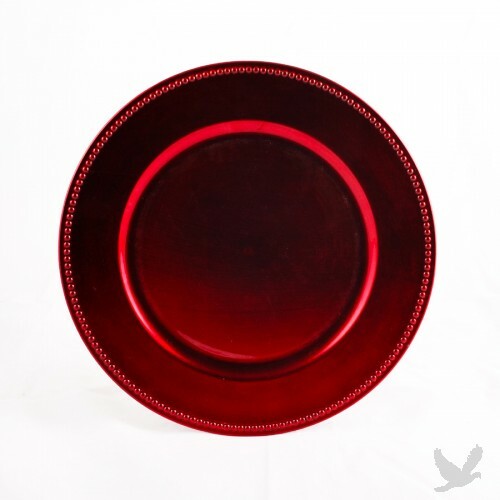 The high quality acrylic metallic lacquer charger plates are cheap enough to buy to enhance your table styling and give it a uniform look. 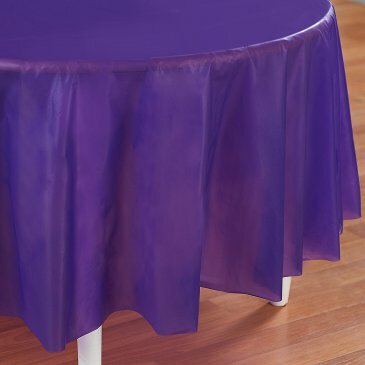 Available in lots of different colors. 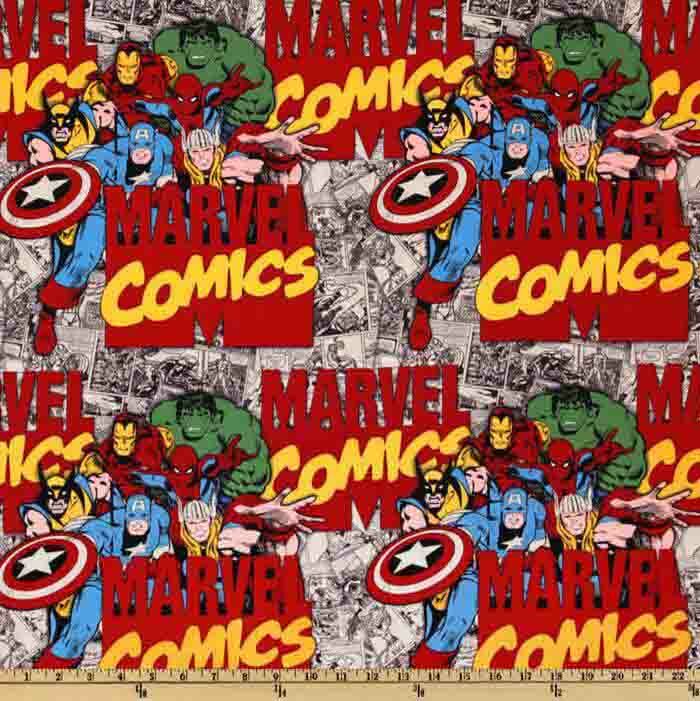 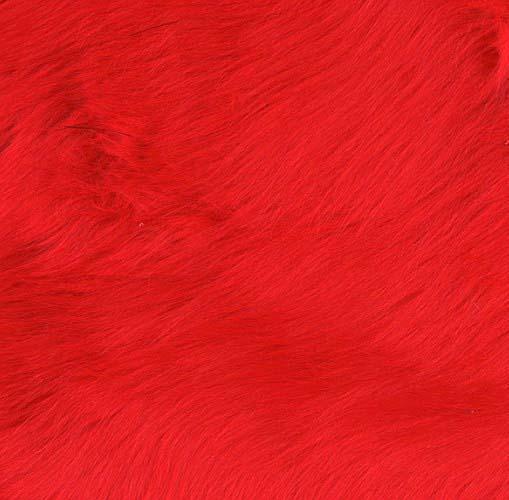 This supplier has a great selection of fabrics by the yard from faux furs (below left), patterns (below center), and novelty prints (below right). 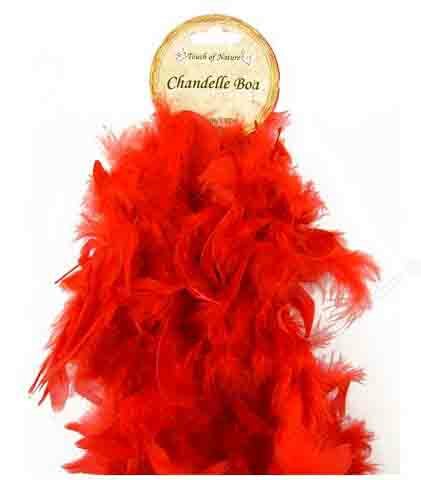 For UK visitors, this supplier has a good selection of different fabrics, including faux fur and patterns. 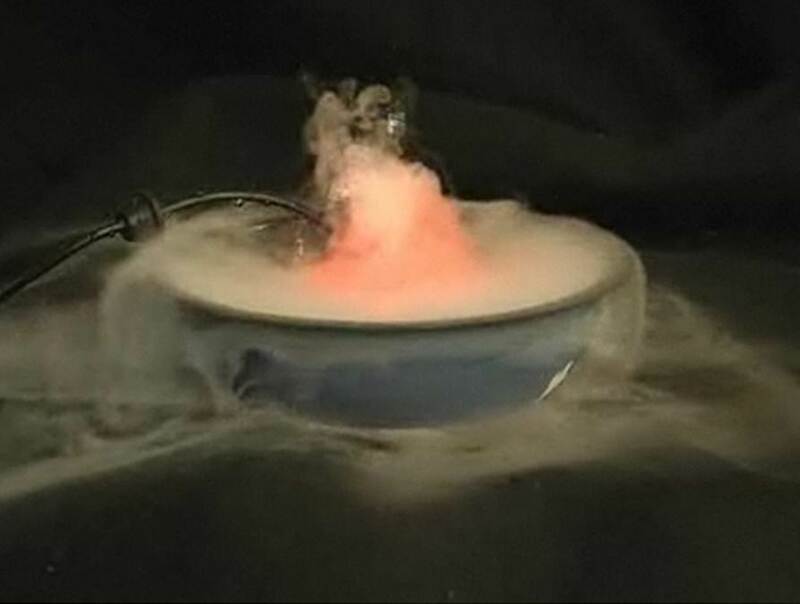 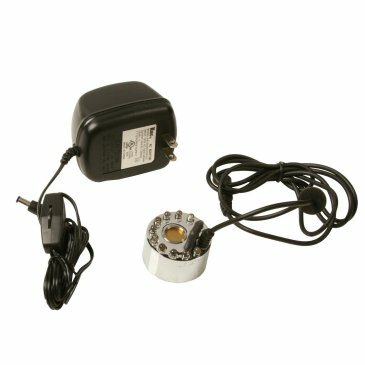 These mini fog / mist machines are cheap enough to use for creating smaller tabletop special effects. 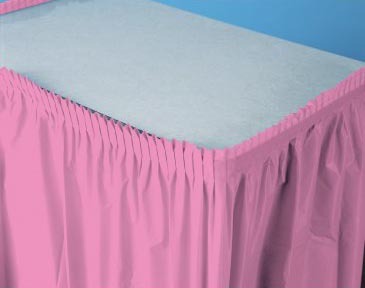 Follow the link above to view a video demonstration of the product. 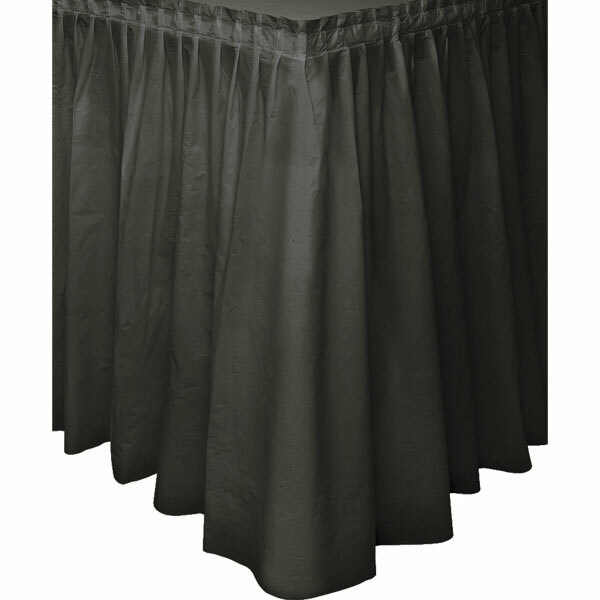 To see a video demonstration of the same product, follow the link next to the USA flag. 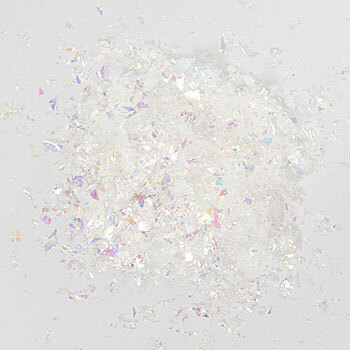 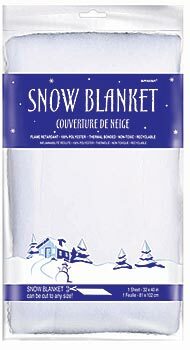 This Snow Blanket is perfect for creating a base layer of decorative snow. 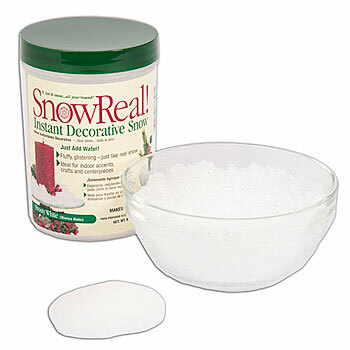 Then sprinkle with decorative snow (below). 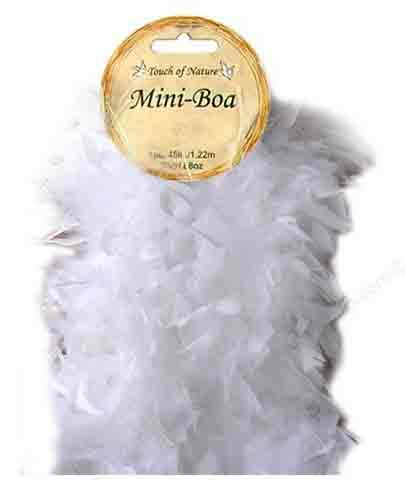 This supplier has a good range of different colored cheap feather boas. 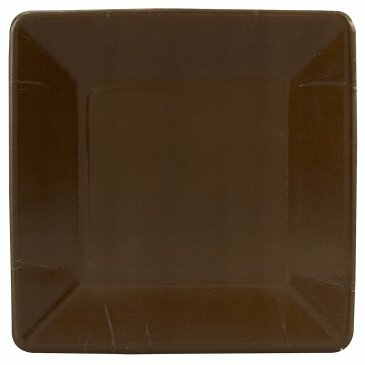 For UK visitors, see here.